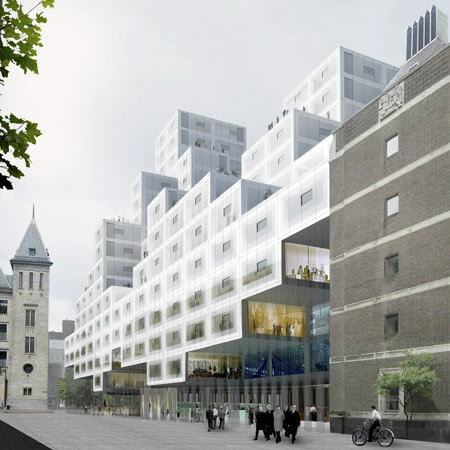 The Office for Metropolitan Architecture (OMA), in collaboration with Werner Sobek and engineers ABT, has won the competition for Rotterdam’s Stadskantoor, a new building for the city hall that will accommodate municipal services, offices, and residential units. The winner was announced this morning by city alderman Hamit Karakus. Impressive building, is the new building welcome in Rotterdam or are the residents not happy about it? Next Next post: Goodbye Summer Time, It’s Halloween Time!